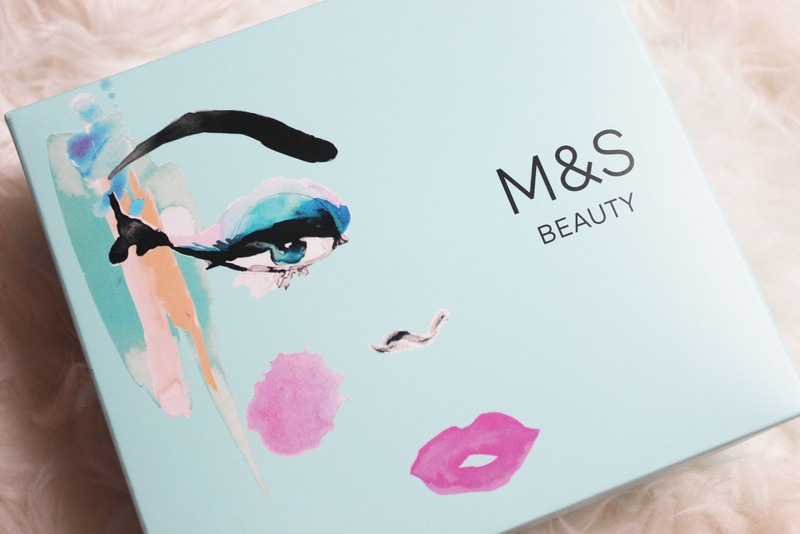 Lets be honest, when we think about going beauty shopping, we would never really think about popping in to M&S for their beauty aisles. I live in Manchester so I have a huge Boots, two Superdrugs, a Selfridges, Debenhams, House of Fraser AND Space NK, so I'm pretty spoilt for choice and can never make my way around even half of them before I'm knackered. But on a recent shopping trip looking for a pair of shoes for my boyfriend I noticed how amazing their aisles were, not only do they have their own brands, Autograph and Lola, but also Neal's Yard, Nuxe, Philip Kinglsey, REN and so many more. If I wasn't with my boyfriend I imagine I could have spent a long time in there looking around. On the hunt for a new moisturiser I decided to pick one up from Nuxe that I'd noticed Ruth Crilly mention, having originally planned to pick it up in Space NK I'm so glad I had been dragged in to M&S, because I was awarded with this amazing gift with purchase. 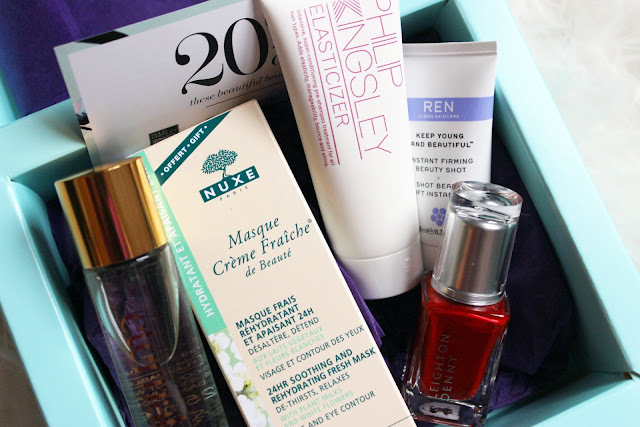 If you spend £20 at the moment you get a beauty box full of products both full sized and sample sized, worth £59, completely free. There's a 20% off voucher for all beauty products which has actually ran out now, slightly confusing because I bought the moisturiser on my second visit to M&S and they didn't have these boxes the first time, so that's a bit redundant. But you get a full sized Nuxe hydrating face mask, which I'm super excited about, a full size Leighton Denny nail polish and what I think is a full sized perfume, it's 25ml so it's a big enough size anyway. There's also a sample REN serum and the Philip Kinglsey Elasticizer, which I've heard so much about, so again something I'm very excited to try. I can't find anything about these on the website, but my local M&S had so many on a table, so I'd check your local M&S if you're planning any beauty buys, especially skincare, that seems to be their forte. What are your favourite brands at M&S? Wow this is such a good deal. I was in M&S with my mum a while ago and noticed how good their beauty section had got - they kept that one quiet! I love the Philip Kingsley Elasticizer and Leighton Denny polishes are such good quality. This looks so good! I got the face mask in another beauty box and it's so nice. I went into M&S recently and was so surprised at how big their beauty section actually is!